Criminal, but even some criminals have class. And there is much we can learn from them. I often quote lessons learned from gangsters. I am a student of the classic American gangster era, not to glorify, dignify or justify in any way but, there are lessons to be learned. We can learn from any source, that is the Krav Maga way. 1. 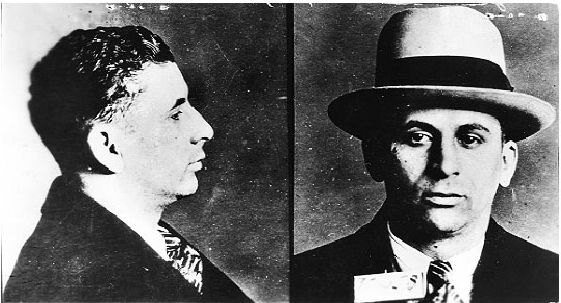 Never Grovel - Read the gangster books, see the documentaries, even in the face of death the classic Jewish and Italian mobsters never groveled or begged. Perhaps some of the lower "foot soldiers" did, but never the leaders. Even in the face of death, show dignity, do not lose your cool or composure, do not resort to baseless insults. Class. Always, but always, speak from a position of strength. Some of the more famous gangsters actually asked for the option of taking their own lives, to die an honorable death. If a death sentence was pronounced, it was accepted, solemnly. 2. Honor - Yes, honor. 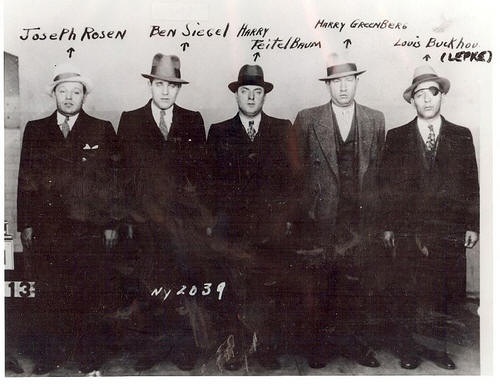 There was honor and respect among the gangsters. A word was a word. Deals were made with handshakes, nothing more. 3. Loyalty - These organizations were ruthless but the members were loyal to each other. You were loyal to your godfather. If he needed a favor from you, you did it. You showed your gratitude for all he did for you. 4. Honesty - The mob was built on trust and honesty, not on contracts or legal documents of course. If you promised to pay a man, you paid him. Lack of honesty was severally punished. Business depended on honesty. A deal was a deal and it was honored. A man who would not honor his deal, would not do business any more. 5. Generosity - Loyalty and hard work was rewarded with extra pay. Mayer Lansky stressed to always tip and tip big at restaurants. This is simply good business. When the police come the waitress will alert you and get you to safety. Being generous is good for business, any business. 6. Motivation - Lansky stressed that they were always looking for good young men. They wanted men with true ambition. A hard working loyal young man with ambition could go very far, very fast. Mayer Lansky, Little big man. 7. Courage - You need courage to act. And you need courage to face the consequences of your actions. If you made a mistake, you paid for it. 8. Don't talk too much - Did Mayer Lansky retire with 300 million dollars or a few thousand? 'till today no one knows. Was he the master of all American crime or simply an accountant? We still do not know. Keep your mouth shut unless you have something important to say. Stay out of needless arguments. Do not engage a fool in rhetoric. Serious people have more important things to do than argue with fools of no significance. Never honor a fool with an argument. Do not allow him to steal your precious time. 9. Pay your bills on time - Never give anyone an opportunity to bring charges against you. Pay and pay on time. Do not delay payment, bad for business.Leave no doubt that all debts are fully paid up. 10. Don't brag - No one likes a big mouth. If you truly are great, people will know it. A lot of hot air usually means there is very little content. Big talkers can never compete with big doers. They displayed class, self-control, dignity. Certainly we, martial artists, instructors and students alike, should behave accordingly. Avoid arguments but welcome discussion, avoid insults but welcome constructive ideas, show respect at all times. And remember, no one ever disrespected the godfather. Accept that certain things are beyond your control. Let it be. Based in Israel we are an authentic Krav Maga association. For more details please see IKI Instructors Information. IKI is currently in about 35 countries worldwide, and our Krav Maga writings are followed and read in more than 180 countries worldwide. IKI has trained police, military and personal guards all over the world. 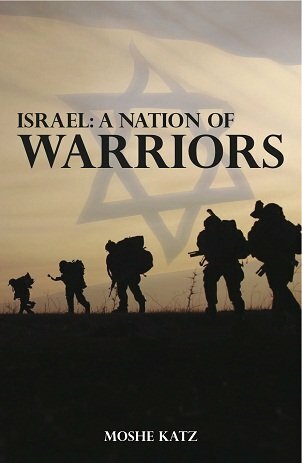 The story of Israel as a fighting nation, from Biblical days until our own. The story of the Israeli fighting spirit.